For those who don’t know, you’ve published three books ( Margaret the First , SPRAWL , and Attempts at a Life ), as well as being the editor behind Dorothy. Would you mind talking a little about your creative journey? This is a hard question to answer without sounding like I’m applying for a job! All that you say is true. I wrote those books—the first came out in 2007, the next in 2010, and the most recent in 2016—and I founded Dorothy, a publishing project with my husband Martin Riker late in 2009 (with its first two books, Renee Gladman’s Event Factory, and Barbara Comyns’s Who Was Changed and Who Was Dead , emerging in the fall of 2010). But I’m not sure I can speak of my creative journey with much insight. I know that growing up I never thought of myself as creative. I remember in my twenties desperately wishing I were as creative as all the creative-seeming people I knew. In graduate school I felt creative-ish. I don’t know anymore. For a long time, in my mind, “being creative” was tied to production, whereas lately I’m happy if I just feel creative any given day (awake, engaged)—or maybe this is less to do with feelings and more with thinking, with how my mind is working? 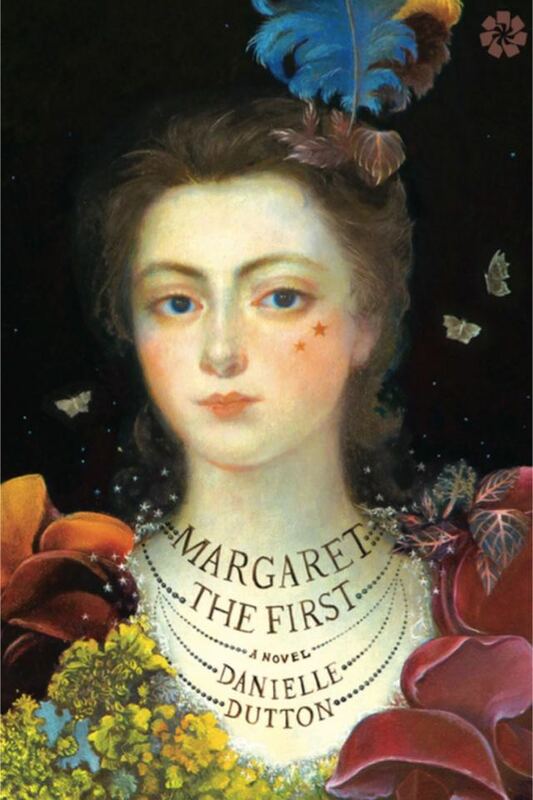 Margaret the First , Catapult Books (2016). You’ve talked before about finding inspiration for Margaret the First whilst reading Virginia Woolf, and your other books have similarly engaged other works, is that how your writing process tends to evolve? How has this changed over the years? The way it’s changed is that my responses are now less closely tethered to the reading. For example, in my first book, Attempts at a Life , one of the pieces is a re-writing of Jane Eyre in six pages. It’s a strange story, but it remains deeply loyal to Jane Eyre itself. These days, what I read tends to work its way into what I’m writing in less direct ways. But that impulse to respond is still there. Do you think this change is due to your maturing as a writer, or more to do with your growth as a person? Is it even possible to see these two things as independent? Yeah, I’m not sure those could be independent. On a pretty basic level I keep changing and so my writing changes. And even if there’s this continued impulse to be reading and writing at once, still I’ve never been too interested in repeating myself formally. In another interview you said you were “drawn in by the sensuality of the world [you were] reading about”. How important is this tactile element to you, both for your own books and when reading? Very. I can get lost in it (it being the world?) when I write. I often find myself more interested in spaces and things than in plots—as a reader too. This is because the world itself is astonishing. I’m interested in the way fiction can be a space within which, at least partly, we’re just attending to the world in different ways. Virginia Woolf’s “Kew Gardens” comes to mind. I had a student last year say he thought it was boring because it was just like being in a garden. First, he’s wrong, it’s not like that, it’s an experience in language. But if he were right, if a story was “just like” being in a garden, wouldn’t that be fascinating? Agreed. Being immersed in a world both viscerally and intellectually is surely an experience a person looks for when reading (and writing). What book (either something you’ve released through Dorothy, or have read) do you think best generates this “experience of language”? You also said “I wanted to be edited, I mean. I wanted to see the work through someone else’s eyes…” which is such a beautiful sentiment. What about the collaborative nature of editing intrigues you? I’m very hard on myself, so I think partly it’s a desire to be free of myself, to be able to look back through other eyes and see what might actually be there. I’m also interested in those stories of famed editors who helped to make a writer’s work more particularly itself, somehow. One of the first stories I ever had published (actually it was that piece “Jane Eyre” that I was just mentioning) was in NOON , which is a gorgeous journal edited by the writer Diane Williams. That was my first experience being really edited, and it was amazing. There’s no question Diane made that piece better, and she helped me see, by seeing it so smartly herself, what was interesting about my sentences. You founded Dorothy in 2009 and have since published two books per year. The press is named after your great-aunt, and mostly publishes female writers. How do you know when a book is right for Dorothy? I’ve said elsewhere that I know a book is right for Dorothy if I begin to feel a vague sense of nausea within the first few pages. I just get this intense and sort of possessive feeling about it almost immediately. Maybe that’s a weird kind of love. Linked to that, you’ve spoken before about wanting to imbue the press with an earnestness, do you think you’ve achieved this? I hope so. 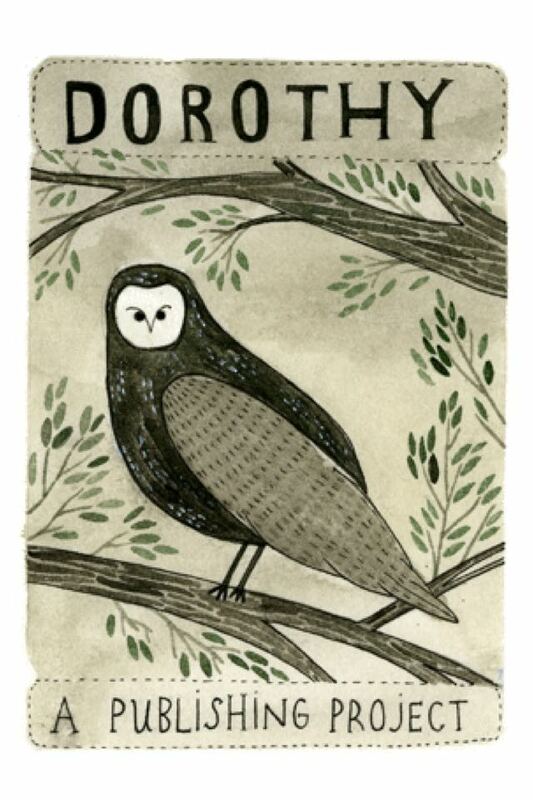 Aunt Dorothy was a very upstanding citizen, a kind person, an animal lover, a gardener, a true lover of books. How do you approach the book designing process; do you see it as an extension of your work as an editor, or do you try and distance yourself from the minutia of the book? The book’s design can happen in different ways. Sometimes I actually start engaging design ideas before we’ve even started or finished the editing, other times not. It just depends on the book, on how it’s inspiring me. The way the jobs are linked, I suppose, is that in both cases you’re trying to help the book communicate itself. As an editor and as a designer you’re trying to see the book as best you can, and then hopefully help get it to a place where its readers will best see it too. How important is it to immerse yourself in the local community? Do you mean the local artistic community? If so, I think it’s relative to where you find yourself. I’ve lived in places where there weren’t any artistic communities to speak of (or none that interested me), and other places where such communities were flourishing. Both have been okay places to be. Much of my work is solitary, and most of the people I’m in touch with about my writing or Dorothy aren’t nearby (they’re in New York, or LA, or South Bend, or Connecticut, Texas, London). Of course it’s nice to know and see people, especially at meal times. So, would you say the online element of the community is more important to you? No, I wouldn’t put it that way. The online-ness of it isn’t what’s important to me about the community. The majority of the people I’m in touch with about books and writing and publishing (Dorothy writers, for example, or friends who are writers, or former teachers, or my own editors) are people I’d be happy to see on a daily basis, if circumstances allowed it. Wake up, start the oatmeal. Meditate. Eat the oatmeal with husband and kid. Feed cat. Get kid out the door. Emails. Dorothy business. Writing time, if I’m lucky, otherwise straight to grading/prepping for class. Walk to campus to teach or else meetings or both. Get kid. Talk to husband. More emails. More Dorothy business. Cook dinner if I’m lucky. Yoga or dance class if I’m lucky. Where’s the cat? Maybe a reading? Maybe read? Make sure kid does homework. Call Mom? Call Dad? Text with brother? Walk before bedtime. Read to kid. Shower. Try to avoid email. Netflix and chill. Meditate. That’s about it. I’m working on a series of hyper-condensed stories, which I’m thinking of as poems, or as torsos (bodies with no head or legs). I’ve also started a novel, but it’s too soon to talk about that. I’m reading Dodie Smith’s New Moon with the Old . I loved I Capture the Castle , but haven’t decided about this. I’m also reading The Secret Garden to my kid while having flashbacks. It was a favorite when I was little, but I’d mostly forgotten it. Now it comes rushing back, not only the book but how I loved it, which is a weird thing reading can do (offer us these glimpses of ourselves). I’m always reading for teaching. Right now: Ben Marcus, Jamaica Kincaid, Woolf, Melville, Borges, Azareen Van der Vliet Oloomi, and Kate Zambreno. I whole-heartedly recommend The Complete Stories of Leonora Carrington and Renee Gladman’s Houses of Ravicka (this is the fourth in her constellation of books set in the invented city-state of Ravicka, where houses migrate and the language is largely gestural). Danielle Dutton is the author of Margaret the First , SPRAWL , and Attempts at a Life . She’s a professor at Washington University in St. Louis and the co-founder and editor of Dorothy, a publishing project.